Carson grew up in the Yukon community and inherited a passion for both finance and economics. His family has owned and operated the bank since its founding in 1912. Carson graduated from Yukon High School before attending Southern Methodist University, where he graduated with a Bachelors of Business Administration in Finance and a minor in Economics. With previous banking experience as a teller at YNB during his high school years and time working as a lender at a Dallas-based financial institution post-graduation, Carson brought extensive experience in both banking and lending with him when he returned to YNB in 2013 as a Vice President. In 2016 he was inducted as a member of the YNB Board of Director’s Advisory Board as well as a member of the 59th class of the Southwestern Graduate School of Banking at SMU. Carson also maintains membership with the Risk Management Association (RMA). With his father having been a local real estate developer, it is no wonder that he also shares a passion for real estate development and construction. 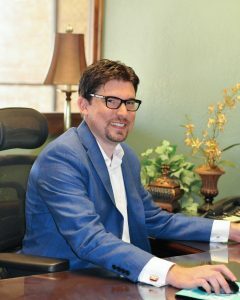 Carson currently serves as a Senior Vice President specializing in commercial and construction lending as well as a full member of the YNB Board of Directors. Carson is very proud of his Yukon heritage, which he hopes to pass along to his two children. He believes that YNB has an vital place in both Yukon’s history and its future. Carson’s passion for banking extends to his customers as he enjoys building those relationships and assisting them to secure the best financing that meets their personal and business goals. Contact Carson today and experience the difference YNB lenders provide!